Through history there have been considerable changes to the sports included in the Games, though since the early 2000s there has been a cap of 28 sports. There are the stalwart sports, which include athletics, aquatics, cycling, fencing, and gymnastics, which have been held at every modern Olympics. While each year other sports are removed and new sports are added as part of an annual review by the International Olympic Committee (IOC). Sports that are dropped are done so if there has been some kind of scandal or controversy, known corruption or if the sport has simply lost popularity among viewers. When a sport is dropped, it paves the way for a new Olympic sport to be added to the program, which is decided by a vote from the IOC members. In order for a sport or discipline to be considered for inclusion in the list of new Olympic sports, it must be widely practiced in at least 75 countries, spread over four continents. Once a new sport is added, it has a great beneficial impact for that sporting committee because their sport’s inclusion is prestigious and raises the profile and popularity of the sport. 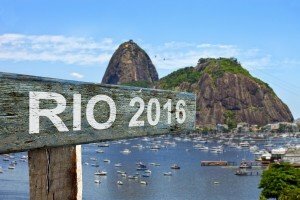 Whilst rugby and golf will be newly part of the 2016 Olympics in Rio, they are actually both returning sports to the competition. Golf is also a returning Olympic sport after 112 years since it last appeared in the competition program. It will be run as a competition between individuals in both men’s and women’s tournaments who will each play 72 holes of stroke play. 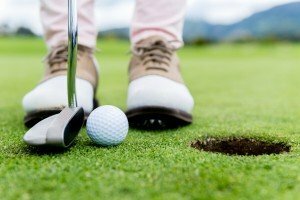 It is expected that the inclusion of golf will further raise its popularity, especially if favourite players such as Tiger Woods, Rory McIlroy and Annika Sorensam participate. With renowned star golfers like these, it is expected that golf viewership across the word during the Olympics will be high. The specific Olympics qualification criteria for golf is that 60 players qualify for each of the men’s and women’s events. This is further defined by the top 15 males and likewise females in the world on 11th July 2016 will automatically qualify, but with a limit of up to four golfers per country. It gets a little complicated at this point as the remaining qualification places are awarded to the highest-ranked players from nations that do not already have two golfers already qualified. This ensures that the international competition is fairer, as there are around nine Americans making up the top 15 golfers in the world right now. Furthermore, there will be a minimum of one golfer from the host nation and also each of the Americas, Asia, Europe and Oceania. The World Golf Rankings are maintained by the International Golf Federation.